It is the end of an era. Lara is now no-longer the youngest grandchild in Mr B's family. 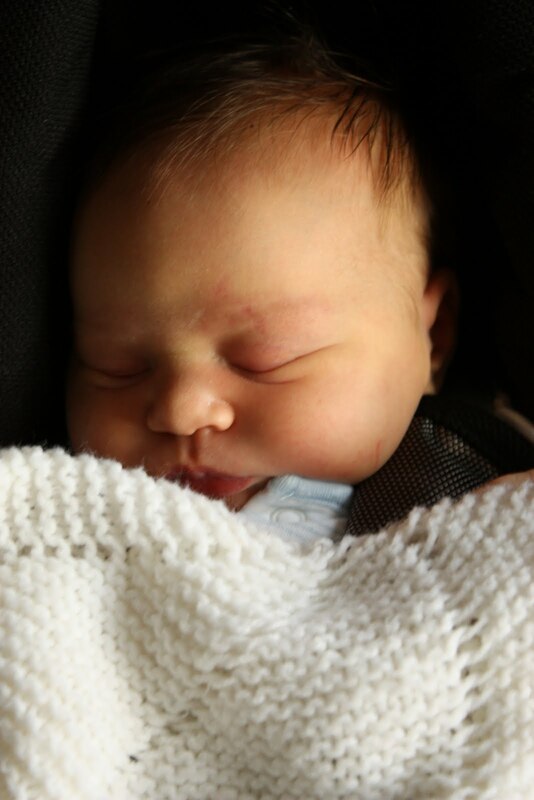 Lara's new baby cousin has arrived, bringing Lara's cousin count to 7. I have mixed emotions about this. Firstly, it is an undeniable sign that my little baby is growing up. She is no longer the little baby. She's just a baby, perhaps even a toddler (she's not quite toddling, but you get the idea). Next, it means that she will no longer be the centre of attention when we get together with the family. Most of me thinks this is a good thing – it takes some of the pressure off me to tell exciting stories about Lara's latest tricks, and to dress her up in cute clothes and generally impress people. It is about time for Lara to learn that she isn't the centre of everyone's world. I suspect, given that she spends plenty time around other children with the childminders, that this will be an easy lesson to learn but I'm glad that it's happening now rather than if or when we decide to have more children ourselves. Finally, it means that there will be a little one about and this spells trouble. Broodiness. I'm not entirely sure how my brain and body will respond... we shall see! All I know is that before Lara came along I was really uncomfortable around other people's babies and never wanted to hold them but that this time around I know what I'm doing and will feel more confident. I will probably be wanting a snuggle.